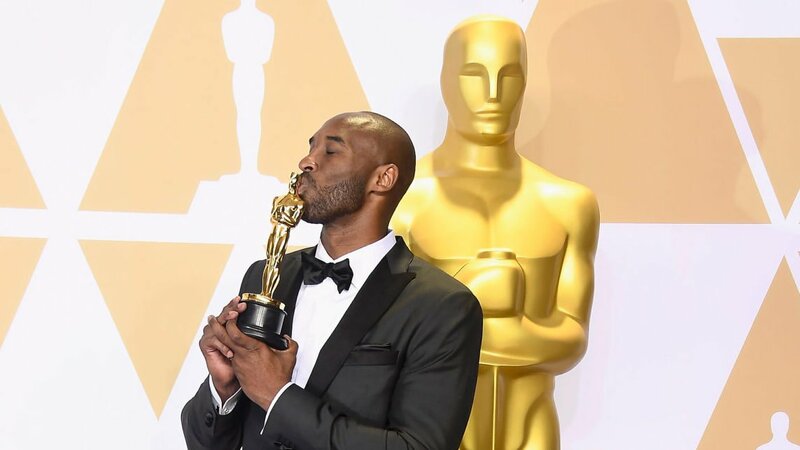 Kobe Bryant won an Oscar for Best Animated Short Film at Sunday’s Academy Awards for Dear Basketball. The unexpected win shocked the former Los Angeles Lakers player. The short film is based off Kobe Bryant’s poignant retirement letter published in the Players Tribune in 2015. Glen Keane, directed the film about a deep love for basketball. Keane, an animator is best known for working on hit films like Aladdin and Beauty and the Beast. The short film takes a look at Kobe Bryant’s journey, into his love for the sport and his long basketball career which started when he was a child, culminating with his historic run with the Los Angeles Lakers. “Garden Party”, “Lou”, “Negative Space” and “Revolting Rhymes” were also nominated. In his short but touching speech, Kobe Bryant thanked his wife Vanessa and their three daughters in Italian. Kobe Bryant retired from the NBA in 2016 after 20 years with the Los Angeles Lakers. Through his career he won five NBA titles, one MVP award, at least two NBA Finals MVP awards, and was named an All-Star 18 times. Bryant made news last month when he appeared on The Undefeated’s “Dear Black Athlete” to tell Jemele Hill that he supports the #TakeAKnee protests. Bryant said that if he were still playing, he would take a knee during the national anthem despite the NBA’s rules against it. He also claimed that other players in the NBA wouldn’t have an issue with it, based on his own experience. “From my experience in the locker room, it doesn’t seem like any of the players that I played with certainly would have had an issue with that,” he said.